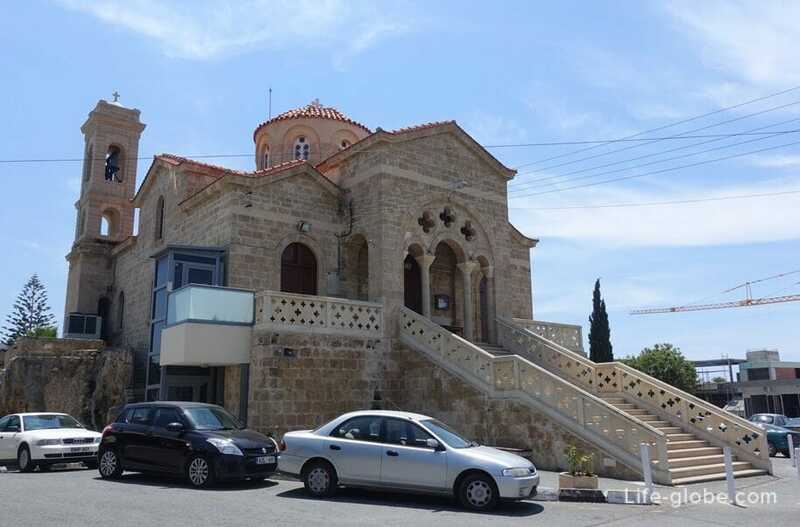 The Church of Panagia Theoskepasti also known as the Church of the Intercession of the Holy virgin Mary - Orthodox Byzantine Church located in the heart of Kato Paphos, close to Paphos Castle and Harbour. The history of the Church is reduced to the early 10th century. Then Cyprus was part of the Byzantine Empire, Christianity flourished on the island. 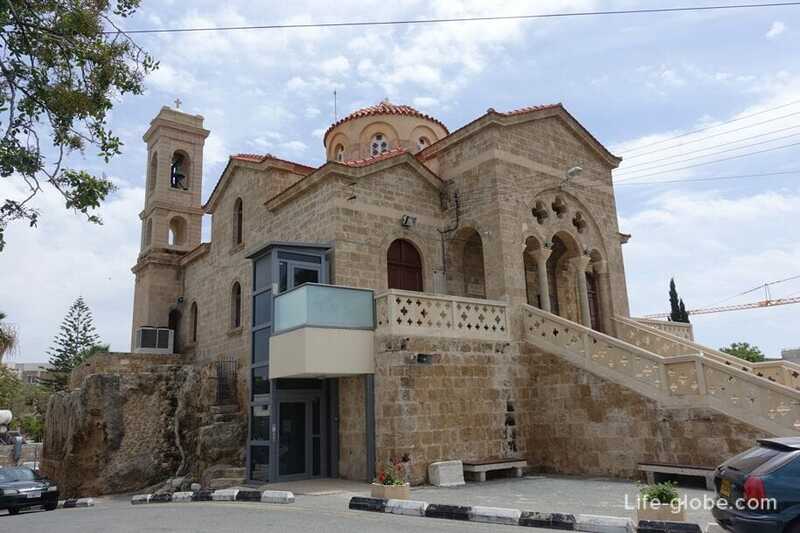 It's at that time were built many monasteries and churches of Cyprus, among them was Theoskepasti Church, dedicated to virgin Mary (Panagia in Greek). The temple was built on a small cliff, which made the Church a recognizable and clearly visible even from a distance. Currently at the base of the Church, it is also possible to see part of the old rocks. 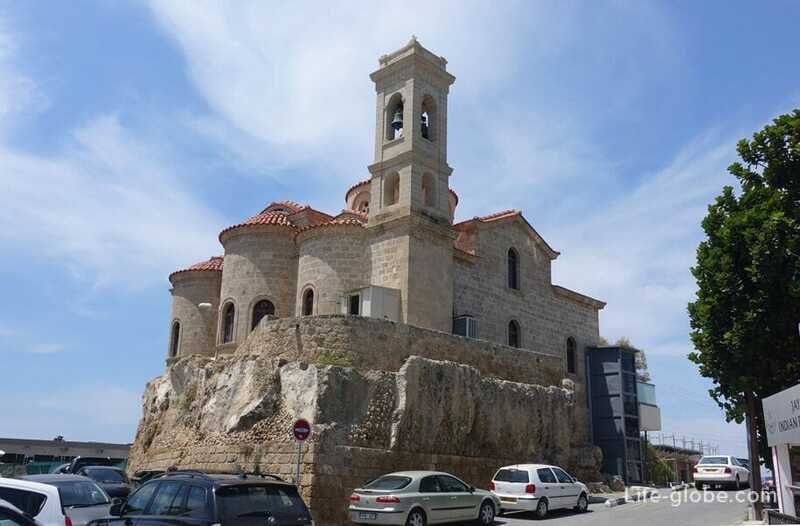 The present appearance of the Church of Panagia acquired only in 1923, when on the foundations of an old Byzantine Church was erected a new Church has preserved the architecture of the last Church. Full restoration of the present Church was completed only in March 2009. 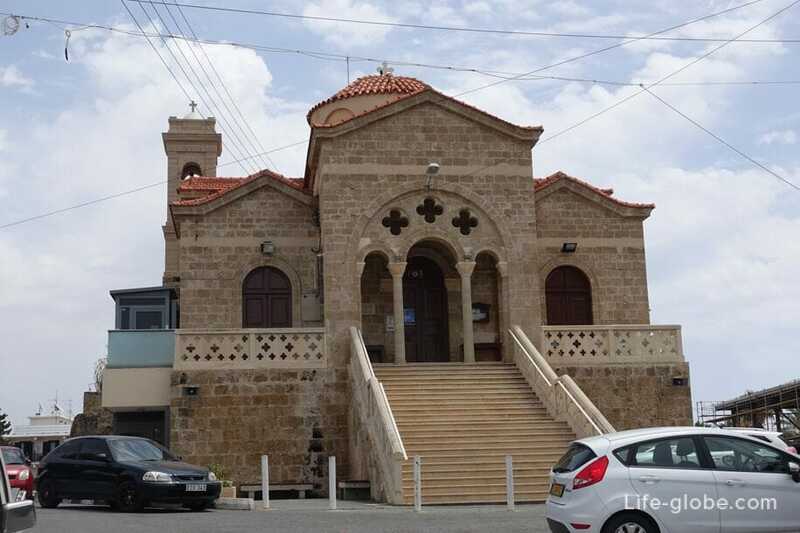 When the Saracens began to attack Cyprus, the Church of Theoskepasti, thanks to its raised position, could become easy prey and be completely destroyed by enemies. However, according to the legend, at that moment fell on the Shrine of the dark clouds that hid the Church from the eyes of the enemy, which makes it virtually invisible, even at close range. Due to this legend the Church was named "Theoskepasti" from the Greek words "Theos" and "skepazo", which means "God" and "veil", meaning "Hidden by God". According to another tradition, one of the Saracens managed to enter the Church and tried to steal the Golden candle as soon as he touched the candle, an invisible force cut off his both hands. Currently the temple is one of the points of Christian pilgrimage due to the stored silver-plated icon of the virgin. According to legend this icon was one of the seventy icons painted by the Evangelist Luke. - 631 (rock of Aphrodite, Kouklia - Harbour).